Slipped Disco returns to its old stomping ground in Brick Lane for a one-off Bank Holiday Special on Friday 28th May as Severino and Ben Osborne move their no holds barred Yes We KAN’T double act east for one night only. 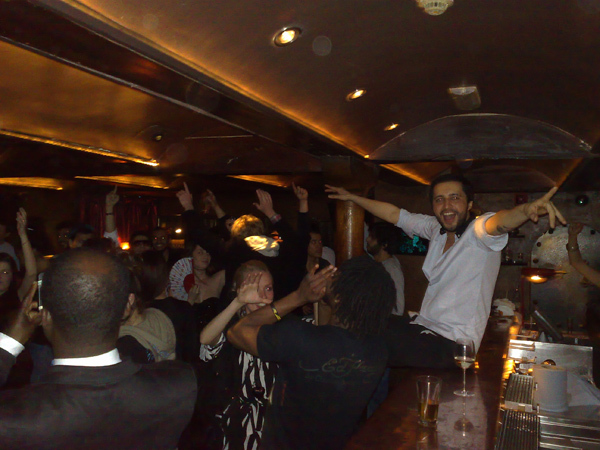 Check out the image above from the last Yes We KAN’T session at Momo, where we had them dancing on the tables and up on the bar once again. The party returns to Momo on Friday 11 June for a monthly residency with residents Severino and Ben Osborne. (Free but register by sending a guest list request to noiseofart@gmail.com) while Slipped Disco’s UFO next takes place at Big Chill House in Kings Cross on Friday 25th June. More details of those events to follow, but we’ll see you at the Big Chill Bar off Brick Lane before any of that to kick-start the Bank Holiday weekend in true Yes We KAN’T style. A night of performance, art and retro-futurist psychedelic disco music, featuring film of Soviet space missions, fantastically costumed performers, live music and DJs. 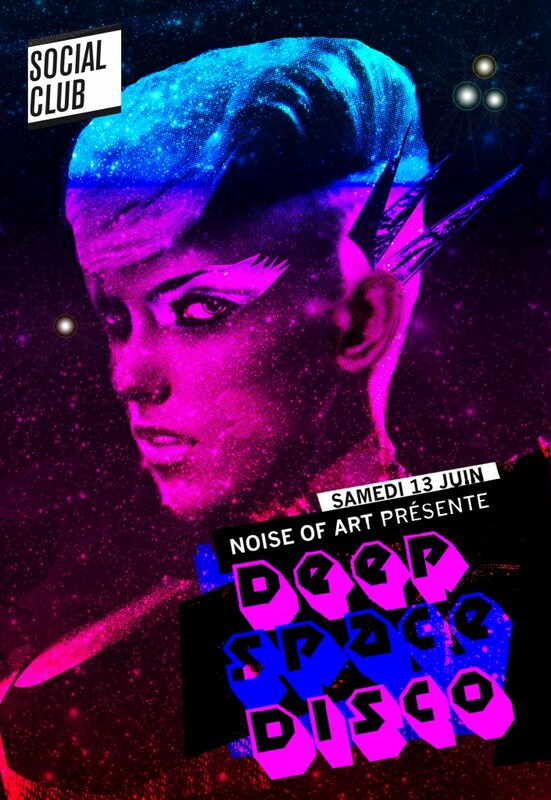 Following sell out events in London and across the UK, the NOISE OF ART will make its Parisian debut on 13 June by turning the Social Club into a deep space disco. An immersive music, art and film clubbing event, Noise of Art’s Deep Space Disco features a line-up of London’s leading retro-futurist musicians, DJs, performance artists and visual arts teams. Amongst those crafting cosmic grooves to re-edited Soviet-era space films and fantastically costumed performers, will be The Emperor Machine (who release their new LP in the June), Faze Action (who also have a new space disco LP out), Serge Santiago and Les Hommes Du Train (who launch their single ‘Space Hopper’ on Parisian label Totolo). The night will feature rarely seen footage from early soviet space missions from the National Archive of the BFI. Noise of Art founder, Ben Osborne, has recently been awarded a prestigious New Music Plus Award, by the PRS Foundation.